Happy Wednesday, Sugar Fix fans! 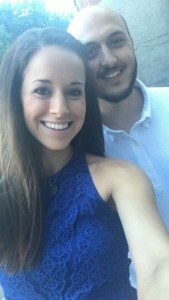 It’s Hannah here with a community highlight! Here at Sugar Fix Dental Loft, we love showcasing fun things to do in and around Lakeview! One of the biggest upsides to living in Chicago is the incredible access to amazing entertainment at any given time. Dr. Jessica Emery and our team absolutely love dressing up and attending concerts, festivals, and musicals all around Chicago with our significant others and, of course, our friends. Speaking of FRIENDS… One of my all-time favorite TV shows is Friends (Anyone else out there still crossing your fingers for a reunion show sometime soon??)! 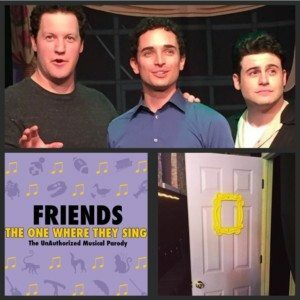 So, when I saw that a local crew was putting together a musical entitled, “Friends: The One Where They Sing,” I just knew I had to see it! Everyone’s favorite “friends” from left to right: Joey, Ross, and Chandler. Performed on the MCL Chicago stage, the upbeat cast delivers a spot-on performance of this “Unauthorized Musical Parody!” This Belmont Theater District partner is BYOB, and the show’s playbill outlines a hilarious (optional) drinking game for added fun with friends! This laugh-out-loud musical boasts an original score performed by a live band. While each of the actors in Saturday’s performance were incredible, Chandler and Rachel stole the show in my eyes! This could, also, be slightly influenced by the fact that Chandler is one of my favorite characters from the TV show! My husband, Bradley, and I had a blast at the show! This hilarious hit is only here until the end of July, so be sure to catch it while you can! For information regarding upcoming shows, visit their website, and be sure to LIKE them on Facebook. MCL Chicago is located at 3110 N. Sheffield Ave. and is only a few steps away from the Belmont Red/Brown/Purple line stop.